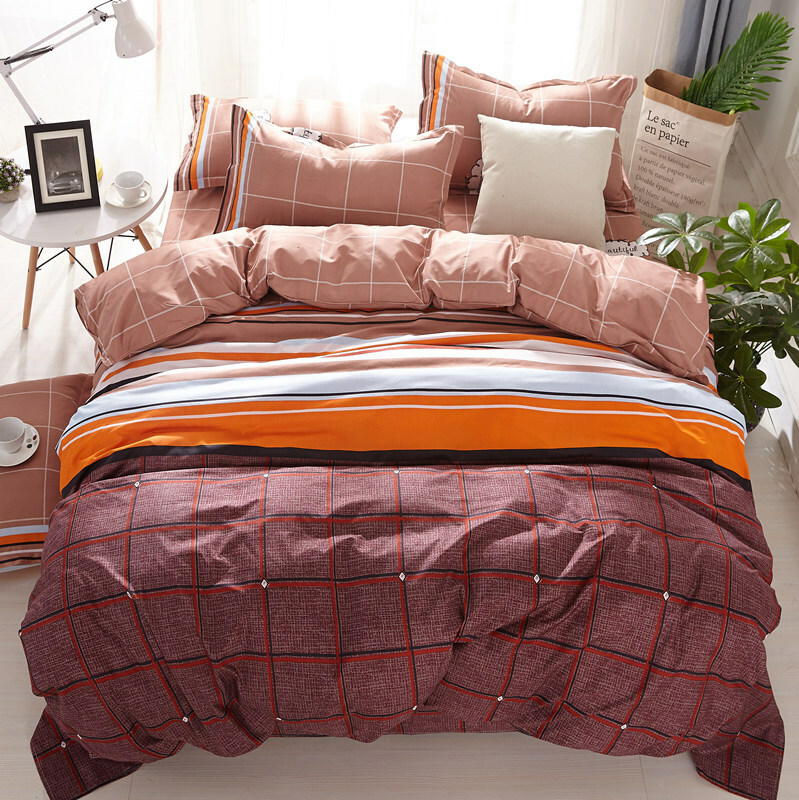 Specification: Material:Polyester cotton Size: #Twin Size: 1 x Duvet Cover: 150 x 200cm 1 x Flat Sheet: 200 x 230cm 2 x Pillowcases: 48 x 74cm #Full Size: 1 x Duvet Cover: 180 x 200cm 1 x Flat Sheet: 230 x 230cm 2 x Pillowcases:48 x 74cm #Queen Size: 1 x Duvet Cover: 200 x 230cm 1 x Flat Sheet: 230 x 230cm 2 x Pillowcases: 48 x 74cm #King Size: 1 x Duvet Cover: 220 x 240cm 1 x Flat Sheet: 230 x 248cm 2 x Pillowcases: 48 x 74cm Please Note: 1. Please allow 1-3cm error due tomanual measurement. 2. Please understand that colors mayexist chromatic aberration.